You got tired of politics! This is quite an interesting pastime for today (and not only for today). Mari0 is a pretty good combination of Mario games and Portal. Perhaps, somebody was waiting for a release of this game. So, you have it today. What is notable? You can download the complete source codes, along with the shaders, sound and the graphics. It is written in Lua, and it has the engine for 2D games LÖVE. All is archived in a file with extension .love that in fact is a zip file. You can unpack it and see what's inside. Also, you can go and see what is here: https://love2d.org/. Karen Sandler (Executive Director of the GNOME Foundation) was diagnosed with a hypertrophic cardiomyopathy, which greatly increases the probability of death from heart problems some time ago. She was recommended to implant a cardiostimulator. Karen got very curios and asked a few questions such as: “What kind of the software is running in it? Can she take a look at the code, before she will trust it with her life?”, but no one could give her clear answers. 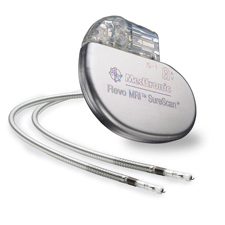 It turned out that all medical devices get certified by FDA organization (Food and Drug Administration) in the USA, which has never conducted the review of source code until some problem may happen to the device’s software. Instead, FDA relies on the manufacturer's report, which includes all the information about it. In addition, this document meets the general standards that are required in this case.